I've been running the new style Shimano HollowTech II cranks since they were released in the Deore XT versions (FC-M760). Recently, this design has become the standard for performance bikes industry wide, with other firms manufacturing similar systems. The performance of this crank and bottom bracket configuration is truely stellar, the best that I have ever felt. One serious shortcoming of this system is the bottom bracket internals, specifically the seals. Back in the days of the square tapered spindle, shimano set the gold standard by which every other bottom bracket must be measured, the BB-UN72. This was an XT level bottom bracket that came as a sealed unit, ran smooth, with little resistance, and lasted vertually forever. If by some chance you did destroy or wear out the unit, it only cost $25 to replace. Even when these units failed, the seals always worked to perfection. The new HollowTech II bottom brackets are not on that level. After less than a year of riding, the left side of my original bottom bracket developed some play and rough feel. Since Race Face was introducing their replacement XC/AM bottom brackets at that time, I figured that I would give them a try. It always proves foolish to use less than a Shimano part. In less than 4 months, the Race Face bottom bracket had seized up entirely. Of course, I had to find this out just before a planned ride. Luckily, for some strange reason, my bro at Fairfax Cyclery, Bryan Harrell, had the replacement Shimano XT cups that I needed on hand. I was able to get the bike working and still enjoy a ride that day with my wife. Bryan and I did a little research on my failed Shimano and Race Face bottom brackets, and this is what we learned. 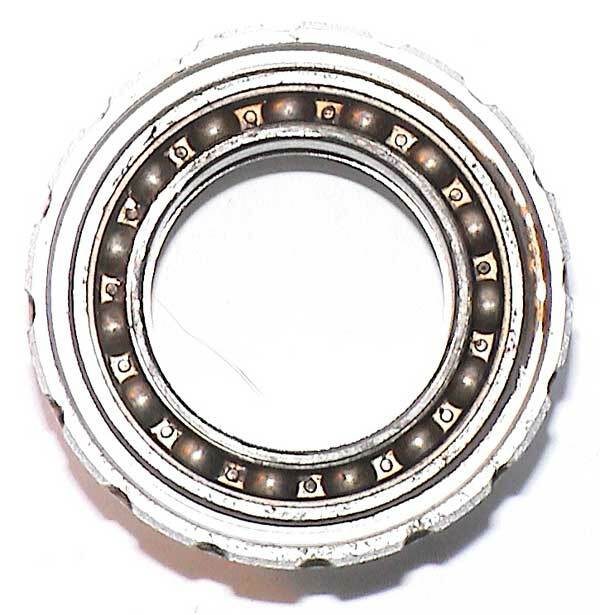 The Shimano bearing cartridges were labled HIC (Japan) 6805RD, (25 ID,37 OD,7 WD) with 15 x 1/8" bearings and a steel retainer. The seals were superior to the Race face unit in every way. The side that failed did so because it was contaminated solid with grit, but the bearing still worked and not too poorly either. The good side was clean and greased and rolled very smooth. The Race Face bearings on the other hand had branded seals (always a bad sign) labled RACEFACE X-TYPE 6805 LLU MAX. This is a full complement bearing, meaning that they forgo a retainer and put as many balls in the bearing that will fit. These bearings for example had 30 x 1/8" balls. Full compliment bearings are only meant for high radial loads. 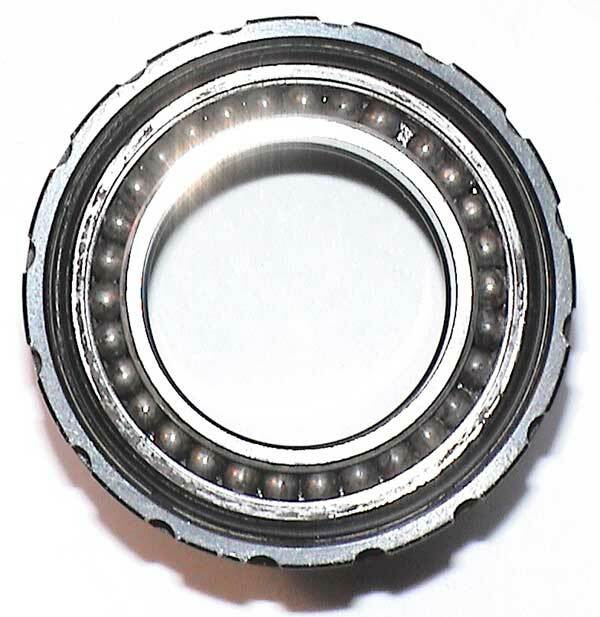 They are very prone to failure under axial loading due to the cutout required to assemble the bearings. These types of bearings have no place on any part of a bicycle (not even for suspension links). The reason that the Race Face BB froze was because the full complement bearing only left 0.050" of gap for all of the bearings to share. 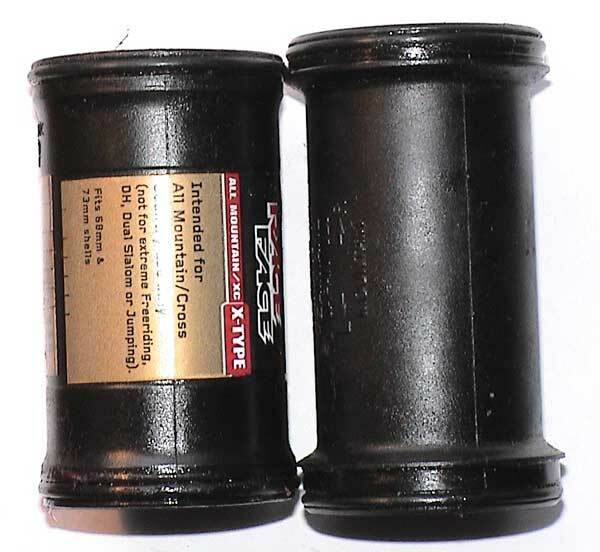 Besides the fact that these bearings were rubbing against each other almost contiually, once the seals failed and some dirt was allowed in, the unit resembled more a mortis and pestle than a bearing. No gap was left for the dirt to go, so it was just go ground in by the bearings until everything locked up. 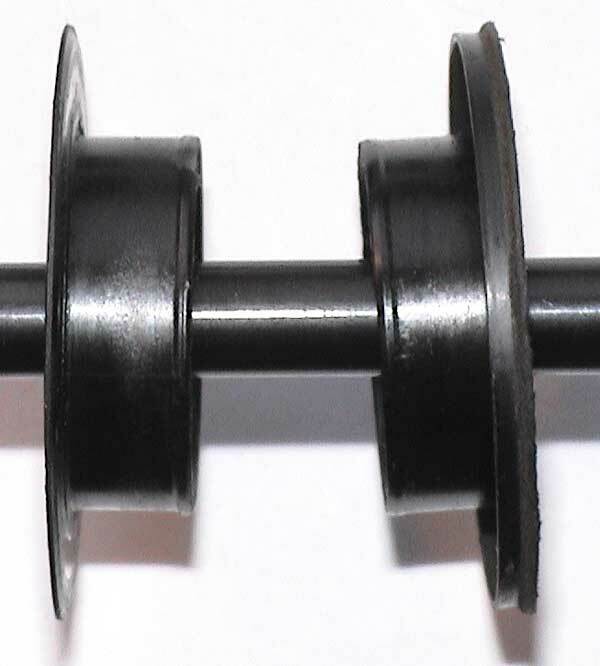 Original part numbers for replacement bottom brackets are XT - SH14505 (Part No. Y1FU98110) and XTR - SH14500 (Part No. Y1E598240), The bearings used in all of these bottom brackets are single row, deep groove 6805 2RS1 (25 ID,37 OD,7 WD) with both sides having a neoprene labarinth seal. Removal of the bearing is accomplished using a Motion Pro Blind Bearing & Bushing Remover Set, #080292 (K&L #35-1056), with the 25mm attachment. With the cups mounted in the frame, simply tighten the attachment into the bearing and slide hammer the bearing out. If you are like me and prefer a press over a hammer, just press the bearing out using the adapter to hold the bearing and press against the adapter. The new bearing is simply pressed in. Since the bearing is recessed into the cup, it helps to use the old bearing to push the new one into place. Breaking news is that Phil Wood has a new tool to do all of the bb service work for about $65. If you plan on doing a lot of these, this is the tool to get. 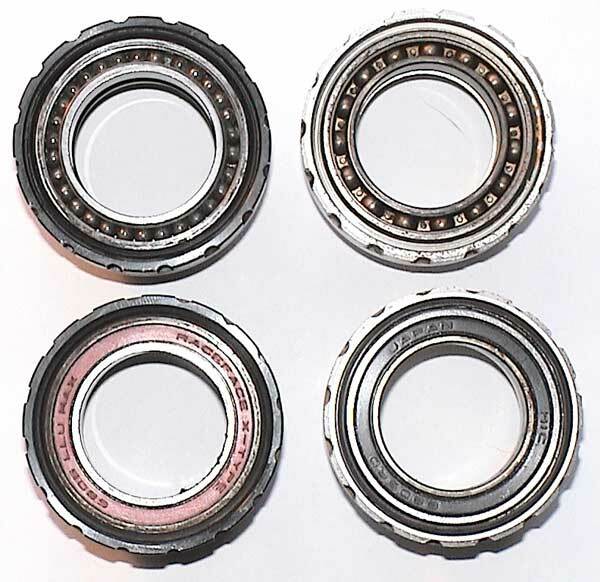 When setting up a pro race bike, it would make sense to replace these bearings with a quality ceramic replacement or with some of Phil Wood's custom made 6805 bearings # PWX05 for $23 each. Whatever you do, avoid any MAX or full complement bearing. The quality of the seals is of primary importance.